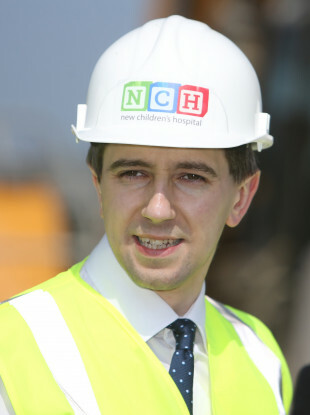 MINISTER FOR HEALTH Simon Harris has said he is “very confident that we are now at the point of no return” in the delivery of the new National Children’s Hospital. Harris has come under fire in recent weeks after it emerged that the final project cost of the project is now €1.433 billion. Speaking to RTÉ’s Six One News earlier this evening, Harris said that the project has been promised by politicians for many years, but that it has not been delivered. “I think the real scandal here would be if a Minister for Health recommended not proceeding with a hospital that has been promised in this country for decades and has not been delivered,” Harris said. He said that it is the job of a minister to put people in place who have professional skills to deliver a project. He added that it is a minister’s job to make tough decisions when challenges emerge. “The decision to proceed with this project was a tough one because of the scale of the cost, but I have no doubt that the only decision I would have regretted was if I didn’t proceed with it,” Harris said. I’m very confident that we are now at a point of no return in terms of actually delivering a project which has been much promised by politicians of all political hues for many, many years. Harris added that “the day this hospital opens, there’ll be politicians tripping over themselves to actually try to get to the opening because once this hospital opens everyone will want to have been a part of it”. Yesterday, Taoiseach Leo Varadkar confirmed that the terms of reference into the inquiry of significant cost overruns in the construction of the National Children’s Hospital will be revised to ensure individuals can be held accountable. Harris told RTÉ’s Today with Sean O’Rourke that the government had always intended on holding individuals accountable. Harris added that there can be no assumption that all the costs could have been avoidable and that while the PwC inquiry would look to reduce costs, he would not allow for the project to be stalled. Also speaking today, Minister for Finance Paschal Donohoe, told RTÉ Radio One’s Morning Ireland that the escalating costs of the children’s hospital should have been known earlier. This was followed by the resignation of the chairperson of the board overseeing the development, Tom Costello. Harris told Sean O’Rourke that he did not encourage Costello to resign but that he believed it was “inevitable” that the chair of the board would step down. O’Donohoe said that confidence in the rest of the board will be determined when the government receives Pwc’s review. “I know all of the individuals who are on the board. I am sure they took their responsibility very seriously and I know that they would have been aware of the national importance of this project. O’Donohoe added that the review underway by PwC would yield learnings for them “regarding the nature of the governance we had there”. O’Donohoe then rejected a call from Fianna Fáil spokesperson on Health, Stephen Donnelly, for PwC’s review to look at the feasibility of moving the development to another location. Rejecting the calls, O’Donohoe said that because of the progress at the St James’ site, relocation is not possible. Email “Delivery of new National Children's Hospital 'at the point of no return', Harris says”. Feedback on “Delivery of new National Children's Hospital 'at the point of no return', Harris says”.